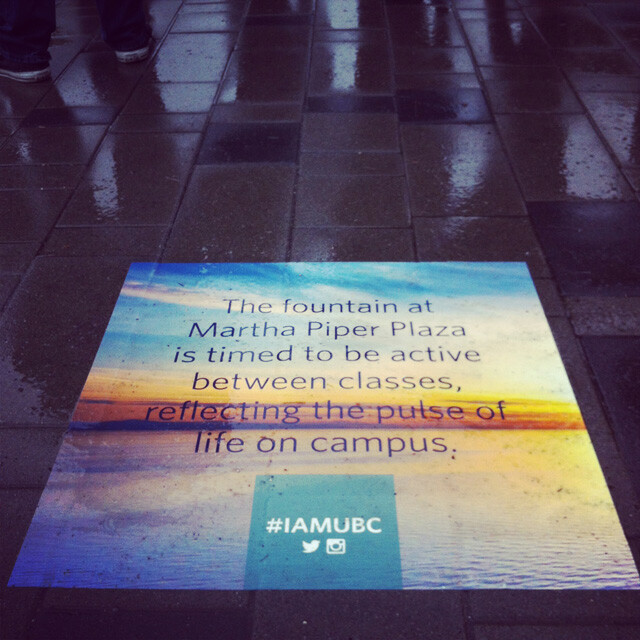 A series of sidewalk graphics installed around campus for Orientations. 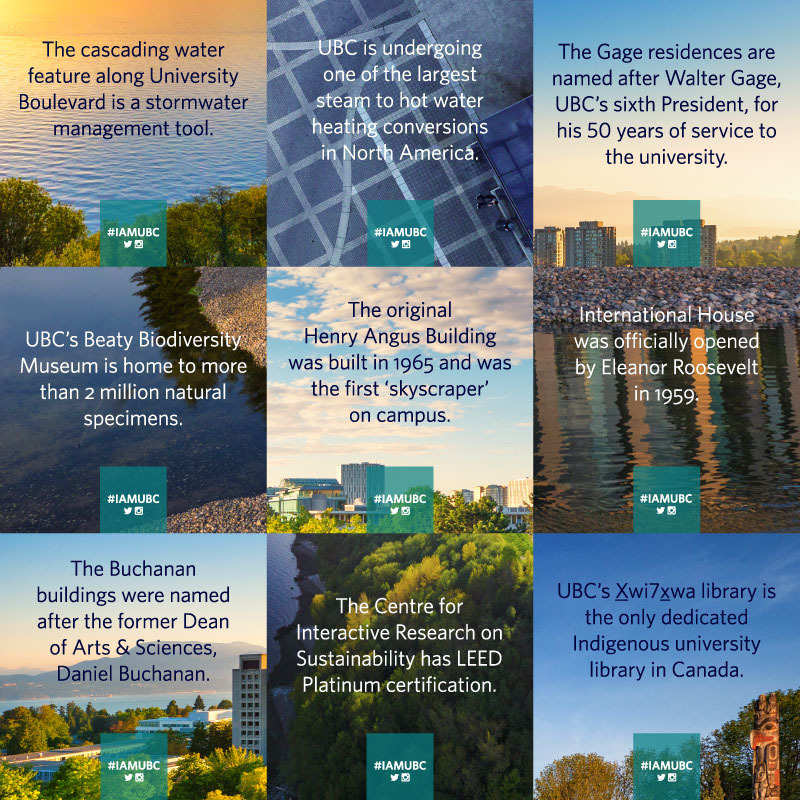 For UBC's annual Imagine Orientation day, we wanted graphics placed around campus to help new students get to know their campus, and encourage them to post their own photos of the day to the #iamubc hashtag, to add to UBC's story. 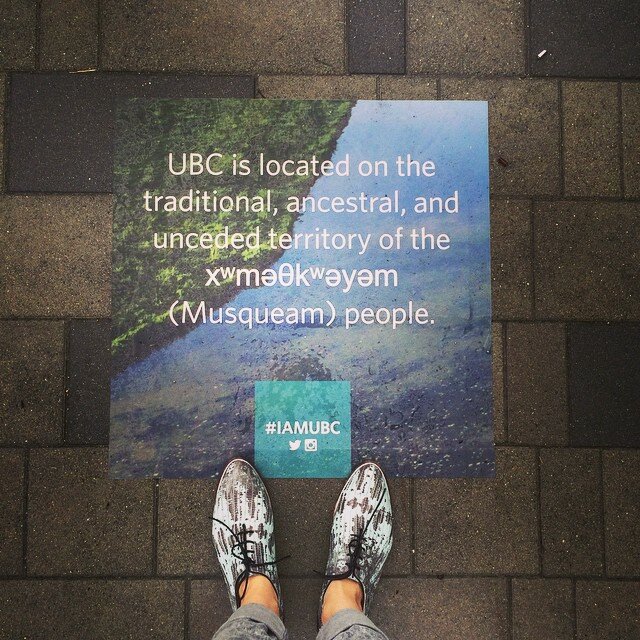 I designed a series of 15 2' x 2' sidewalk graphics which were installed at key points around campus for Orientation day and the first two weeks of the term. 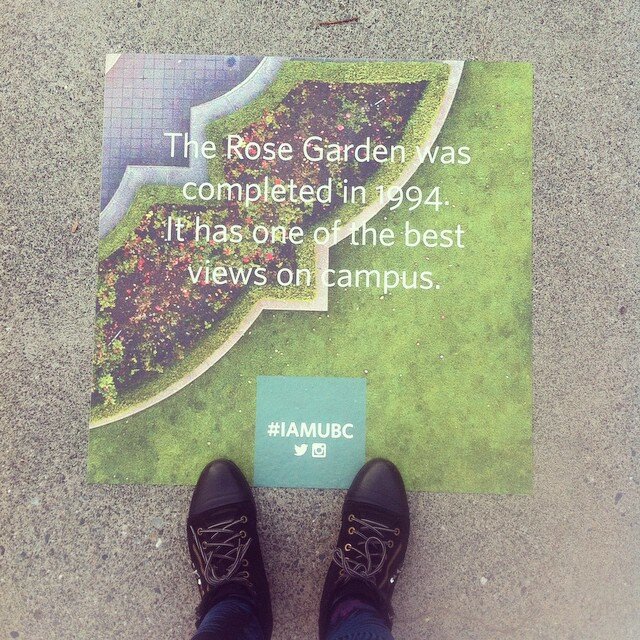 Each sidewalk graphic featured a campus fact, paired with an aerial photo of campus.